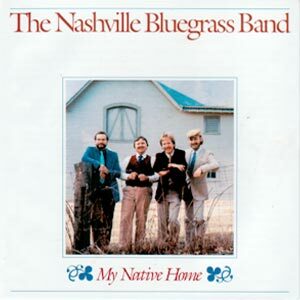 Originally produced as a vinyl record, four songs from this album were digitally remastered for inclusion on Rounder Records compact disc The Nashville Bluegrass Band, which shared music from NBB's second album, Idle Time. Every so often a band gets formed which has an immediate, sudden and lasting impact on bluegrass. During their first years they come to be thought of as “destined” and fans find themselves hoping they will “stay together.” When they do they inevitably climb to the top and share space with the other “destined” few who are their only peers. Bands which fit the mold but didn't “stay together” are ones like Boone Creek, Spectrum, and the Bluegrass Gentlemen; examples which have stayed with it and are now firmly established are Quicksilver, the Johnson Mountain Boys, and Hot Rize. All these bands had “a year” when they were recognized as “destined”. This year's band is the Nashville Bluegrass Band. Their chemistry is perfect. They combine taste with ability and balance breakdowns with gospel quartets. They are certainly destined in many ways: destined to take the bluegrass scene by storm in the tradition of the few and the rare; destined to become a standard against which other bands are compared; destined to join the ranks of those intuitively known as “premier”; and destined to make you feel like you did the first time you heard the '49 version of Foggy Mountain Breakdown, The Blue Sky Boys, Uncle Pen, the Stanleys' Little Bessie, and The Johnson Mountain Boys. Quite simply, they are the best new band going. This record shows that. I hope they stay together for a long time — long enough to fulfill their own destiny. Bluegrass will be a lot better for it. And so will my record collection. In many ways, Nashville is the home of bluegrass music. From the earliest days of bluegrass, the top bands made Nashville their base of operations. Partly this was because of the country music industry; also the central location made sense for touring. As years went by the bluegrass community steadily grew. A club scene sprang up where incredible combinations of musicians could be found playing bluegrass. It was in this fertile environment that Pat Enright and Alan O'Bryant met. They discovered that they had compatible tastes in music and an uncanny vocal blend. Time passed during which they worked together and separately in various groups. Occasionally they talked of putting together a group someday. It would be a band that played traditional bluegrass but would avoid the clichés and develop its own style. They wanted to have a strong vocal quartet as well. Between the work that Alan had done with Peter Rowan, John Starling, and The Bluegrass Band plus Pat's work with Tasty Licks and The Dreadful Snakes (with Pat Hembree) they felt that they had a good base to build on. In mid-1984 the time was right. Two other Nashville pickers that Alan and Pat had played with in the past were instrumentally and vocally the ideal musicians for this new band. Mandolinist Mike Compton had been playing around Nashville with several goups, including banjo great Hubert Davis. Bassist Mark Hembree had worked for five years with Bill Monroe and The Bluegrass Boys. He left to help form the Nashville Bluegrass Band. This album is a culmination of years of picking and singing although the band is spanking new. The gospel singing is a special treat. The boys have developed their vocal quartet to a fine art. The picking is excellent. Alan has an unorthodox yet very musical approach to playing the banjo and Mike has taken the Monroe mandolin style and breathed new life into it. Most importantly the ensemble sound of the group is just exactly right. By now you can probably tell that I'm very excited about these guys. I'm sure that you will be too. Up Above My Head was written by the great gospel singer Sister Rosetta Tharpe. Its short message really appeals to us. Alan learned Carroll Country Blues from Uncle Birch Monroe. Endless Sleep is an old pop song that, thematically at least, fits right in with traditional country music. It has a happier ending than most songs of this type, though. We learned The Prodigal Son from The Heavenly Gospel Singers, an amazing quartet that was popular in the 1930s. They were fantastic singers. Blue and Lonesome and Doghouse Blues are vintage Bill Monroe. We're not sure he would approve of the backup singers on Doghouse, but we're behind them 100 percent. Brand New Tennessee Waltz is one of Jesse Winchester's finely-crafted tunes. We use a high lead harmony on this one. Baby Blue Eyes and On My Mind are both associated with the late bluegrass giant Lester Flatt. Blaine Sprouse's fiddle made these songs sparkle. Monroebillia is Mike's idea of a fiddle tune that Bill might have written late at night riding on his bus somewhere. We've heard several versions of Blind Bartimus, a story from the New Testament. Our version comes closest to that of The Harps of Melody, a six-woman group from Memphis. My Native Home comes from the Carter Family. We hope you enjoy the songs and tunes we've selected for our debut album. We feel they are representative of our repertoire and include some of our personal favorites.